App bundles coming to the App Store: buy multiple apps with a single tap! 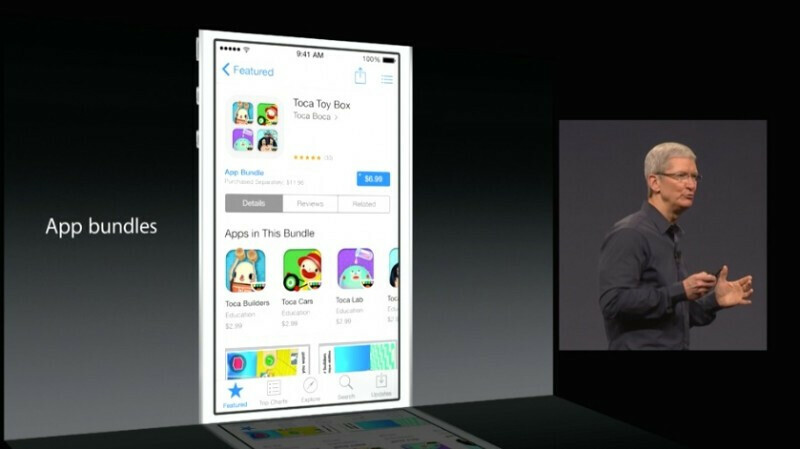 Among the numerous enhancements coming with iOS 8 is the new option for developers to offer app bundles on the App Store. What this means is that developers will be able to sell not just single apps/games, but also predefined sets of those, all at once, with a single price-tag attached to them. For example, Gameloft may choose to offer a special Gangstar package that will get you all the games from the series, at a price that could be lower than the combined cost of all the games, if bought separately. Another such example could be the Plants vs Zombies series, or the GTA series, or Apple's iWork suite, etc. This functionality represents a great new way for developers to market and sell their applications on Apple's vast storefront. Okay, app bundles are a good idea and I'm glad Apple is finally implementing this after years of howling from the developer community. In the bigger picture, it's no secret that 99% of the apps for mobile are just crap. Like sip1995 and wilsong17 mentioned, trials would be very helpul in sorting through the crap. As most positive reviews of apps are fake, trials are the only way someone can tell if an app is crap or not.